I..um..got this. For all of you. My wacom is still trapped in the thorny snare of Canada Post. So. 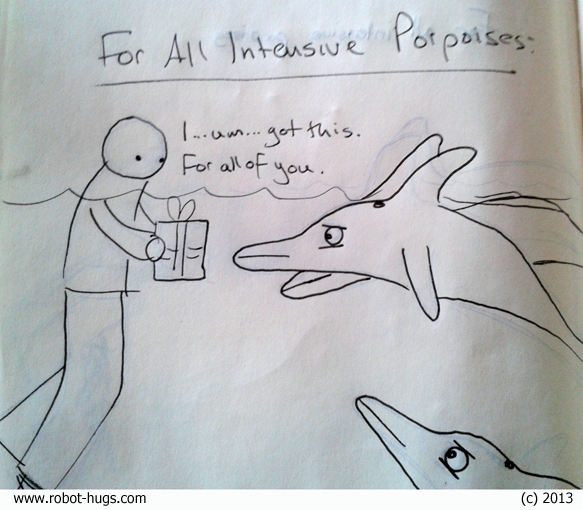 Porpoises. Right?